Brands that support social and philanthropic causes are on the upswing, and with good reason. They stand up for social issues nearly everyone is interested in supporting, and they let consumers join them on their journey. 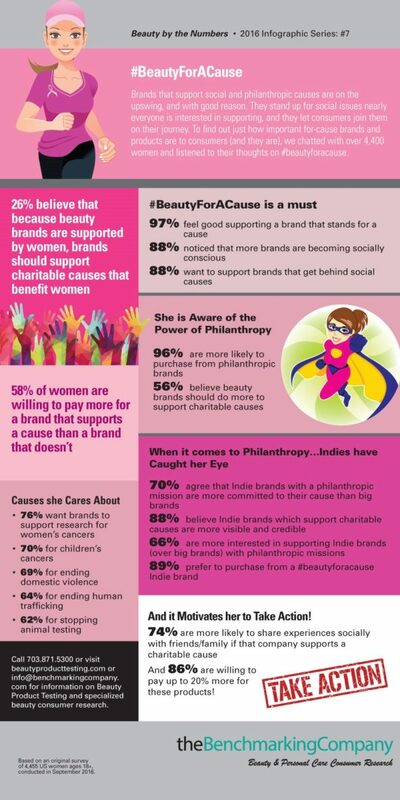 To find out just how important for-cause brands and products are to consumers (and they are), we chatted with over 4,400 women and listened to their thoughts on #beautyforacause.